Last night, my beau and I had a friend over. For this occasion I made coconut BLTs and a lovely Miso Soup. I added Wakame seaweed which includes beneficial nutrients such as 100% of your daily iodine in a serving (good for thyroid support). The soup was one of the best I’ve made in a long time. I’m going to try to recall how I made it, just for you. 1. Finely chop one of each – onion, carrot, and celery and 2 cloves of garlic, and add to 2 tablespoons of olive oil in a medium pot on medium heat. 2. Cook until onion is translucent. Then add about a quarter of a block of tofu, chopped into very small cubes. 3. Add a splash of tamari, a 1/4 tsp of Siracha or other hot sauce, and saute for another minute or two. 4. Add 2 cups of mushroom stock or other vegetable stock and a teaspoon grated fresh ginger. Bring to a boil and then turn down to medium low to simmer. 5. 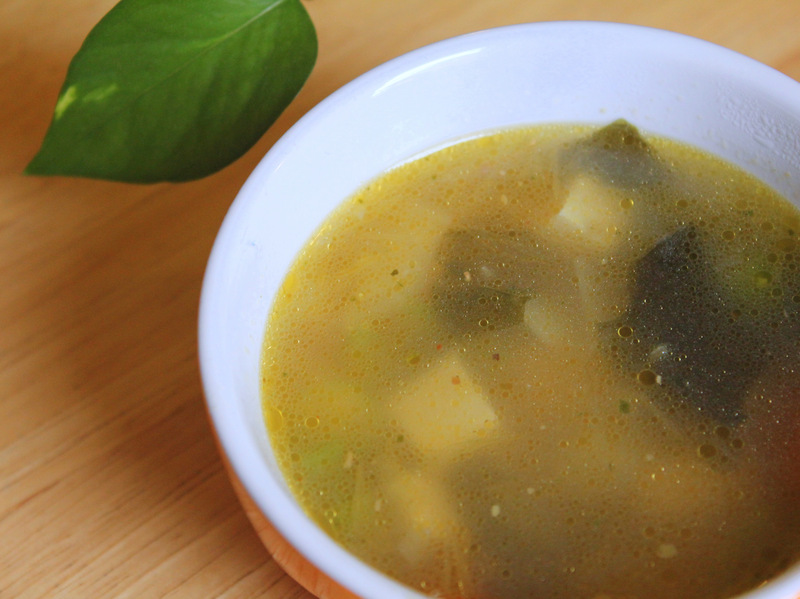 While soup is simmering, soak a couple sticks of wakame seaweed in cold water for 5 min. 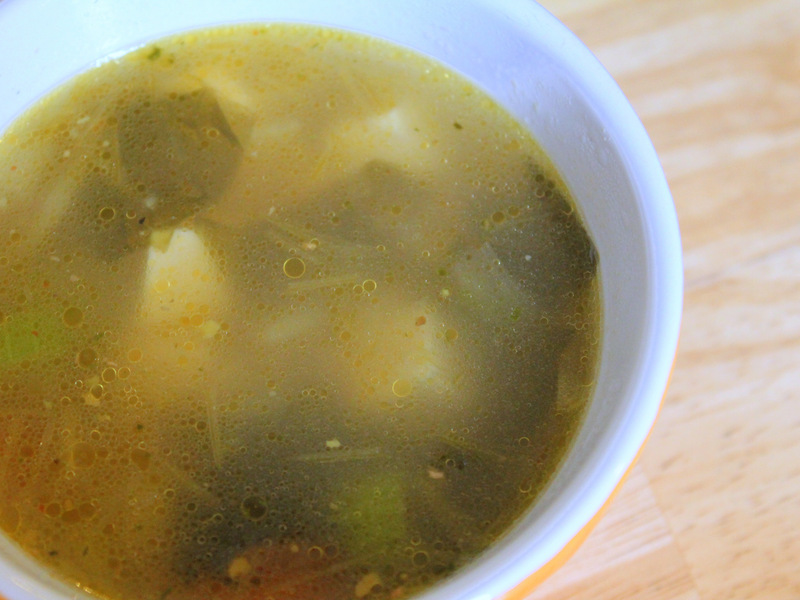 Remove seaweed from water, chop, and add to soup, along with about 1/2 tablespoon of toasted sesame oil. 6. Add 2 cups chopped kale (stems and rib removed) to the soup and continue to simmer until kale is wilted. 7. Just before serving, dissolve 1 tablespoon of miso in a few tablespoons of water (smoosh it up against the side of the glass/bowl to break it down), then add the diluted miso to the soup. ← Vegan BLT featuring Coconut Bacon!